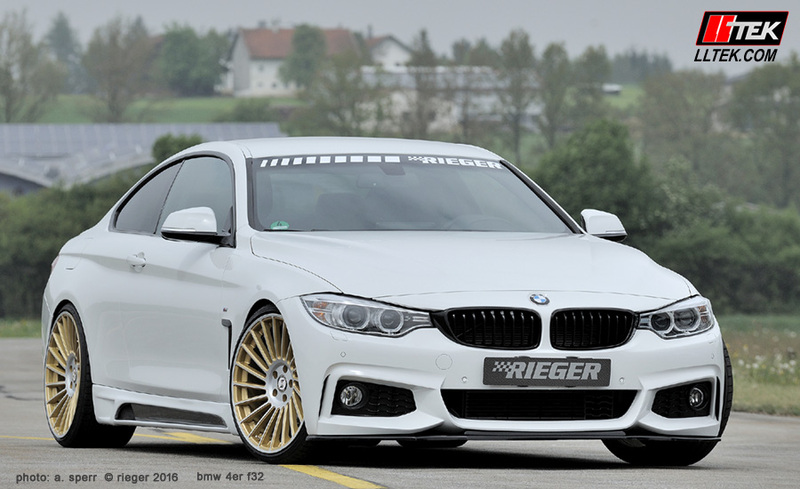 If the wheels are what you like the most - you can find eta beta wheels for BMW here. 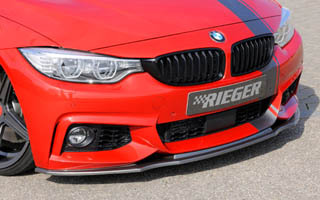 German tuning firm Rieger has grown from a backyard garage enthusiast’s enduring passion for cars to a world recognised brand.... and it only took a lifetime of dedication (30 years) to build the reputation now enjoyed. Although the corporate approach to business wasn't established until 1987, it was years after the talent and hard work had been recognised. Rieger continues to grow. 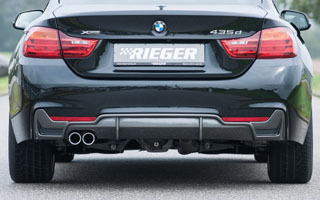 The Rieger look is aggressive... the design, manufacture and quality control is entirely in-house on a five acre campus and the successful results are found all around the world. 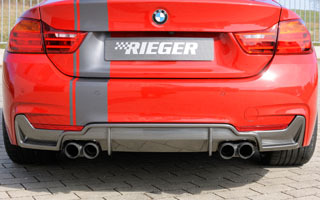 LLTeK is pleased to present Rieger’s latest designs and participate in this success story. 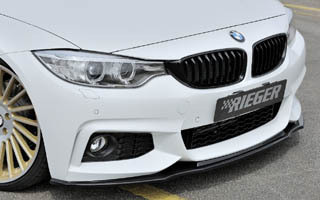 This page presents options for three versions of the BMW 4 Series - F32 coupé, F33 cabrio, and F36 gran touring. The table below lists part numbers with corresponding prices and modification descriptions for this latest BMW. 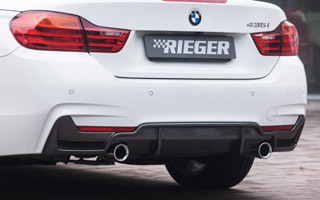 Splitters, skirts, exhaust options, and wheels round out a package that has all been rigourously tested and approved prior to presence in the marketplace. 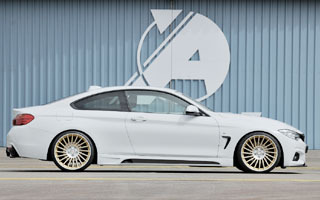 What else would you expect from a talented German entrepreneur who loves cars and gets to take them out on the autobahn?